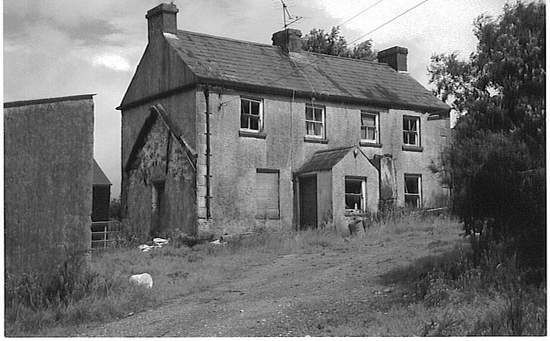 When I departed Ireland for the United States in the late 1980’s, I left behind a monocultural society. In the early part of the new millennium over half a million plus immigrants moved to my homeland, and with them they brought a new vibrancy, cultural flair, diversity and a variety of new foods and recipes. 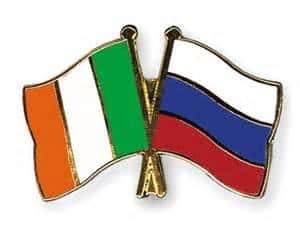 In today’s guest post, Brighid O’Sullivan interviews Elena Clancy, a Russian immigrant who now calls Ireland home. And so I’ll hand you over to Brighid and Elena ….. The Irish Times estimates emigration from Ireland is up 16%, totaling over 46,000 Irish leaving Ireland’s green hills in 2014. Moving in to take up the space are Eastern Europeans, lured by things like lower tax rates for business, more jobs, and often a better life than they left behind. Ironically, these are some of the same reasons the Irish emigrated for hundreds of years. With a total of 6.2 million people between Northern Ireland and the Republic, 544,000 or 12% of those living in Ireland, are non-Irish. According to Irish Naturalization and Immigration Service, 166,000 applications were received in 2013. These included applications for visas, residence, citizenship, and protection. The visa approval rate was 91% and of the 95,000 applications topping the list were India, China, and Russia. So how does one create a little bit of home in a foreign country? I thought it only appropriate to ask someone who actually immigrated to Ireland. Elena Clancy has lived and worked in Ireland for the past thirteen years. She has become an Irish citizen but she’s really a Russian princess. Ok, not really … but Elena Clancy is a fabulous cook and I thought I would ask her a few questions about how food in Ireland has evolved with immigration, and how it differs from that in her home country of Russia. Brighid: How old were you when you immigrated to Ireland? Elena: I was almost eighteen. Brighid: Wow, that is very young. I imagine you must have missed your homeland a great deal, especially in the beginning. 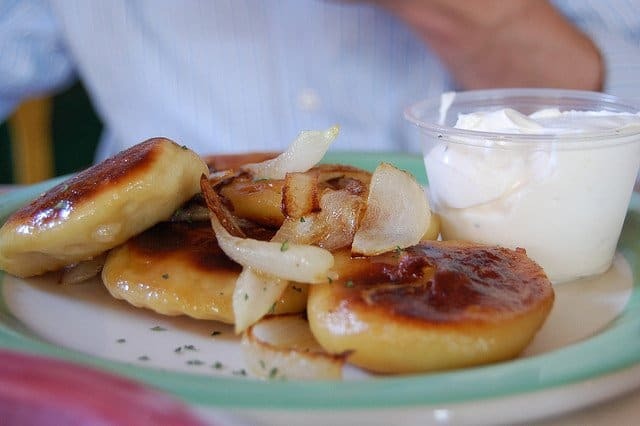 Was there a particular food or favorite dish you especially missed from Russia? Maybe something you had difficulty finding in Ireland? Elena: I was always keen on trying out new foods, so when I came to Ireland I was anxious to taste local cuisine. I also met people from all over the world in Dublin who cooked dishes from their homeland. I enjoyed that part of my life in Ireland. In addition, the Eastern European population was growing rapidly in Ireland in the early 2000s, so they showed an enterprising spirit by opening grocery stores. First in Dublin city center, and then they spread out to suburbs and other towns in Ireland. So I am lucky to say I never really missed any particular foods, however I did miss some home-cooked specialties, which were usually made by my grandmother and my aunt back in Russia. Brighid: How is Irish food different or the same as Russian food? Elena: I think we have many similarities. Both cuisines are not keen on using a lot of spices and both use many herbs. Typically, in Russia we would use onions, garlic, salt and pepper. 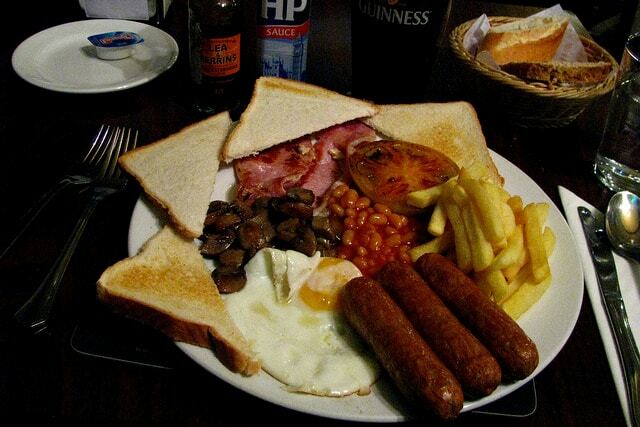 Irish cuisine is very similar with the exception of certain herbs like rosemary and parsley for example. In addition, Irish people tend to over-cook vegetables, which of course removes many vital nutrients in the process. Sadly, it is also the way people cook in Russia. 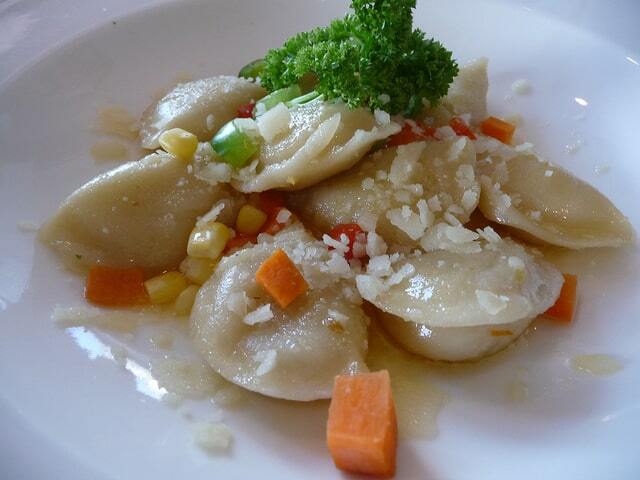 Brighid: Have you found any Irish restaurants that reflect either Russian food or other ethnic dishes that you love? Have they or anything else shaped how you cook? Where do you find your ingredients? Elena: I have my favorite dishes here and I also have favorite spots that cook those to my liking. There is a Russian restaurant in Dublin called The Admiral, although run by people who originated in the Baltics, they cater to many tastes, even Irish and American (and I am going to be stereotyping here and say they serve a good burger). Anytime I go to Dublin I always make it my mission to pop in to The Admiral for lunch at least. They have great specials and always add new dishes to the menu. It is a good place for sample dishes from Ukraine, Latvia and Lithuania too. In Cork, the restaurant Fishy Fishy (and no; that is not a typo) is well known for all sorts of seafood. Fishy Fishy is in Kinsale. 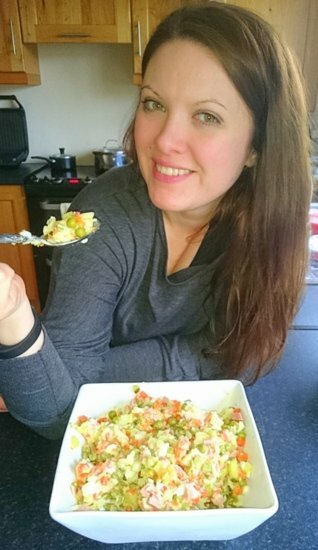 Brighid: How has living in Ireland shaped the way you cook compared to if you had stayed in Russia? Elena: I always thought food at home was a bit bland. I did not cook much when I was at home, as we had great grand mother and grandmother alive and they did an excellent job of feeding our family. My teens and early 20s were spent eating out a lot and getting to know local and other cuisines. I only started to cook in my mid-20s. I seek out dishes I have not tried before and I try making them. I follow a lot of Irish chefs and chefs from Britain for inspiration. Fresh herbs and fresh veg is something we get very seasonally in Russia, so dishes people cook over there reflect the vegetables available. I try to bring that into my cooking here and try to pick seasonal veg when I cook. We are lucky to have a range of veg and fruit and produce available the whole year around, so if I fancied something summery in February, I can have it. Brighid: Food choices are often reflections from our childhood, handed down from generation to generation. Is there a favorite family recipe that you look forward to handing down to your own children some day? Will you share it with us? Elena: Oh definitely! When I get homesick, I go to a Polish or another Eastern European store and I pick up stuff, go home and cook. Then I eat if for 3-4 days in a row and that usually cures my blues. If not, I hop on a plane and go home. That only happened 3 times before. I usually try to get home every year or two. 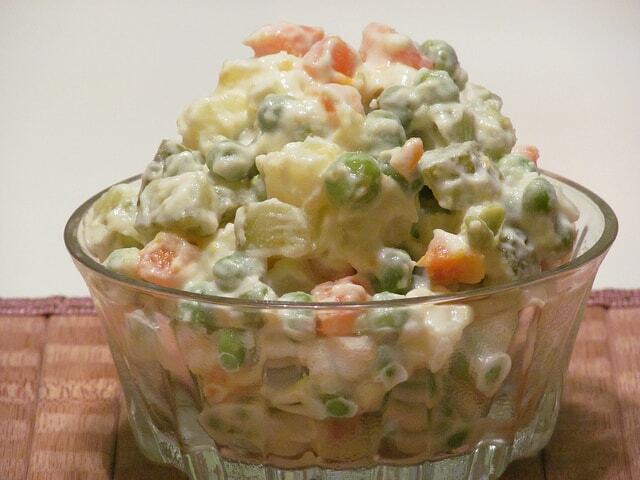 I have many favorites, but this Russian Salad has to be the one. We have variations of this salad. It is a traditional dish for New Year’s Eve too and definitely something, I would make for parties and BBQs too. Rumor has it, Napoleon enjoyed this dish and it originated in France, though possibly a slightly different version. Processed peas are what really makes this salad unique. Add the peas to a large bowl. Chop the other vegetables, sausage, and eggs and mix together with the peas. In a separate bowl mix the sour cream and mayo, then add it into the salad mixture. Serve in small bowls or on a plate, garnish with herbs. Rye bread goes well with this salad. Brighid: Immigration, in recent years has been encouraged by the Irish government, believing that those relocating to Ireland are an asset to Ireland’s economy. Elena, I hear you have a new business endeavor that will contribute something positive to the Irish population. 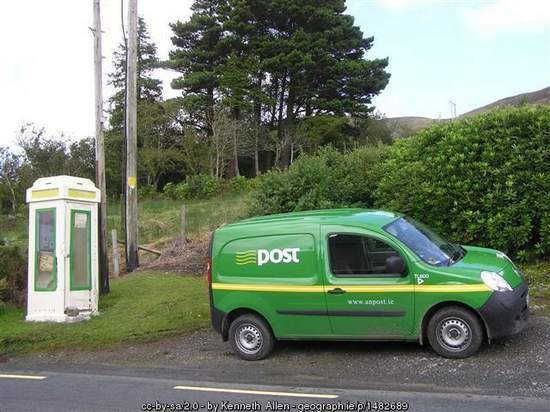 Can you tell us how this will help Ireland and exactly what this business is all about? Elena: I work with many people from all over so I can say with confidence that the workforce is very different here compared to 20 years ago. It is not strange any more for companies to have 50% non-Irish workers. I think it is welcomed. A lot of people set up their own businesses … anything from logistics and translation agencies to law firms. An idea came to me about how people in Ireland would welcome more value for their money. We already put a site together and approached a few businesses for collaboration. My partner Darren and I are very similar in how we like things organized and we hate waste. Our website is still in the early stages, but it is very exciting for us to have a space where we can express ourselves. We share tips and tricks on how to manage time and finances. I think there are many people who have 9-5 pm jobs, fixed salaries, and yearn for money to go further. We are working on ways to share our money saving tips so that people can have a social life, live in a nice house and buy quality food and clothes. It is possible to do things in a way that allows more time to relax and enjoy. If anyone in Ireland has money saving tricks of their own – please share with our readers on our website Ireland Check. We would be thrilled to hear from you. 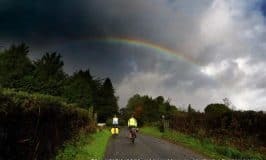 Brighid: My name is Brighid O’Sullivan and I would like to thank Mairéad and IrishAmercan Mom for gifting us this guest post. Mairéad has done a fabulous job of promoting business in Ireland throughout her website. Please check out the other pages on Irish American Mom where Mairéad writes about all things Irish and Elena Clancy’s new business, Ireland Check. These two brilliant women have a wealth of information to share with us all. A big thank you to Brighid and Elena for this wonderful guest post. 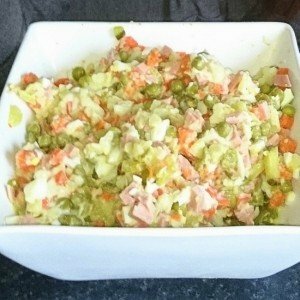 Elena – Thanks for sharing your wonderful Russian salad recipe. I’ll have to give it a try. I even started wondering if it would taste good with some Irish sausage. 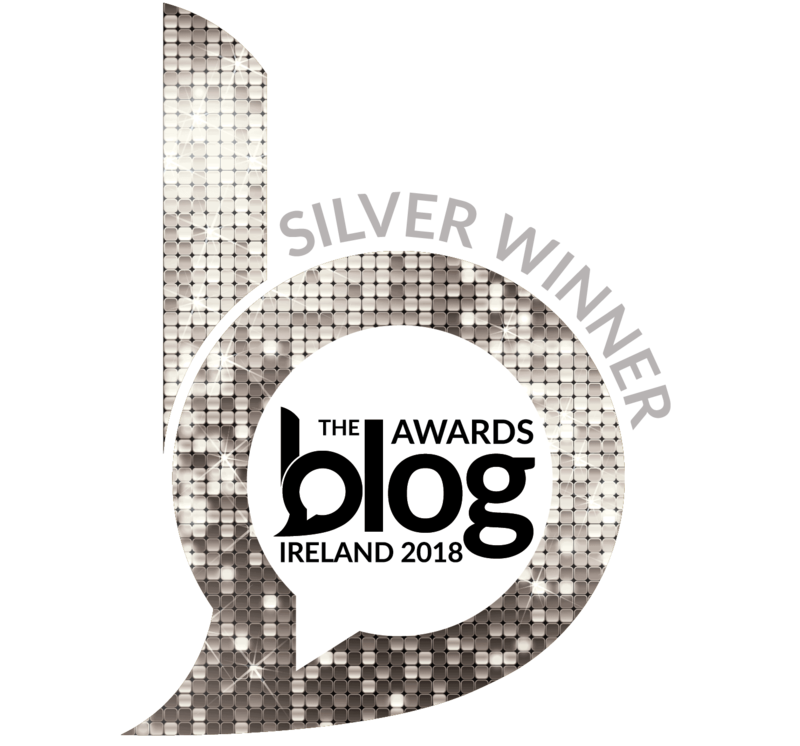 Thank you, Brighid, for your kind words about my blog, for reading my recipes and ramblings, and for your interest in and knowledge of all things Irish. You can follow Brighid on her blog Celtic Thoughts. Step 1 Add the peas to a large bowl. Chop the other vegetables, sausage and eggs and mix together with the peas. Step 2 In a separate bowl mix the sour cream and mayo, then add it into the salad mixture. Step 3 Serve in small bowls or on a plate, garnish with herbs. It’s wonderful getting an education from you both on how Ireland is changing. When I first went to Ireland, with my brother, in 1981, I saw only one Chinese Restaurant in Dublin and none in any of the approximately 18 other countries we traveled extensively in. The second time I went to Ireland in 1994, I was eating in a restaurant, in a small town and I saw the first black person I ever saw in Ireland eating with an Irish family. Now I understand there are many more Chinese and blacks since then. I am writing from Europe now, as my wife and I am on a 19 day excursion to Europe. We started out in London and are now in France. Both countries have changed so much since I first came here in about 1994. Before, I only saw English working in English hotels and French working in French hotels. Now both countries have all Eastern Europeans that I can see working for them. I asked them where they were from and they were from Lithuania and Bulgaria. I do not speak French, and I am on a tour with a bus of Latin Americans, mostly Mexicans , who are now citizens of the USA, and in France, if someone in the hotels does not speak English, there are always some Eastern European who speak Spanish. I went to a Chinese Restaurant last night , in Paris, where I communicated with the owner who spoke Spanish as I do. I was so greatful to meet these industrious Eastern Europeans and Chinese in France that learn English or Spanish, because the last time I went alone to Paris, I suffered not speaking French. I am so happy that Ireland, England and France are changing in bringing young people to their countries that want to make a better life for themselves. God Bless all these new people to their new shores. Dear Ray – I hope you have a wonderful European trip. It’s lovely to hear of your experiences in France, and that a warm welcome has been extended to you by some of France’s newest residents and citizens. Best wishes for a safe, and enjoyable trip. Thank you so much, Maread for publishing this post. Also thank you, Ray for sharing this insights. It is always interesting how other people adapting in foreign countries. Elena – Thanks so much for sharing your story with us. I understand what it is like setting up a new life in a new country. I was very lucky that I always felt very welcome in the US. Wishing you every success with your new business venture. 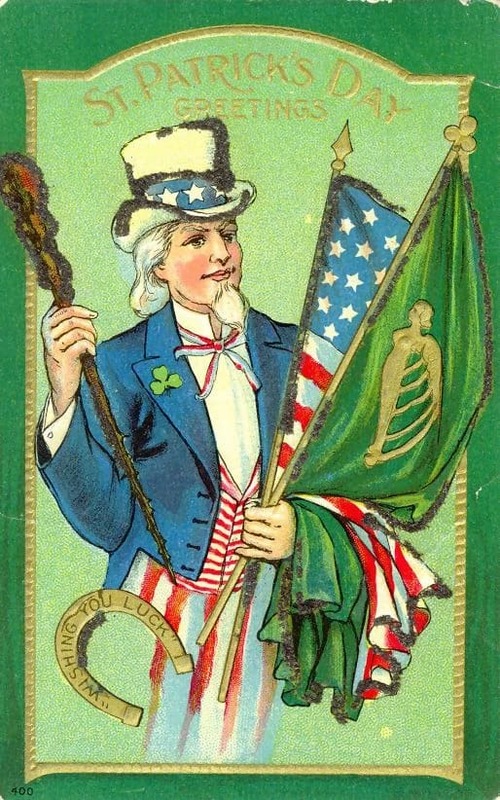 I’m a bit confused, but I suppose all things change, seems as if my Irish themed website might be coming obsolete. Don’t worry, Brian. You and I can always talk about spuds on our Irish websites. Take care, and keep on writing.